the velvet bird: Hello friends! Well it has just been far too long since I've posted last! I also need to apologize for being so behind on getting back to everyone's comments, whoops. I just got back from a trip to Washington to visit family and go to my sister's wedding. It was extremely fun, the weather was nice, the wedding was great, and a good time was had all around. I just about died from excitement over the weather. It still reached 100 degrees a couple of the days, but when there's zero humidity those high temperatures mean squat. I definitely do not appreciate southeastern Georgia weather, boo! 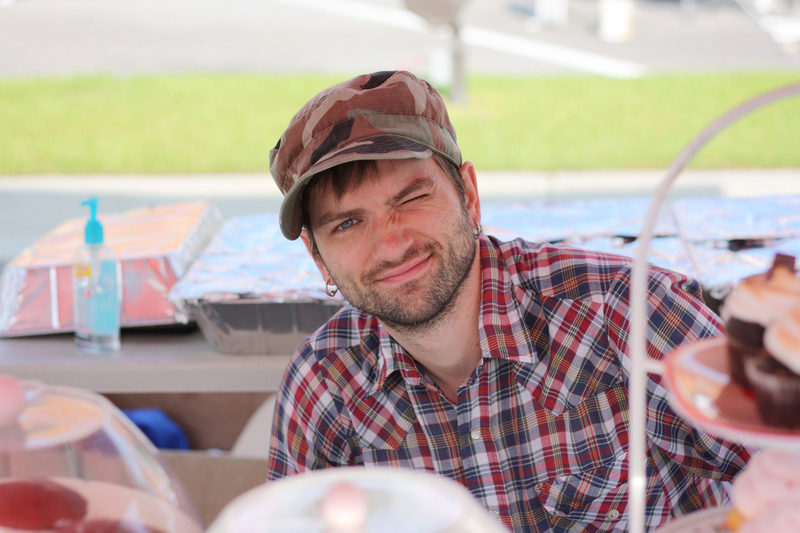 Immediately after getting back home from the trip I had to get to work for the farmer's market. The pictures here are from a couple weeks ago because we forgot to take pictures this past weekend. 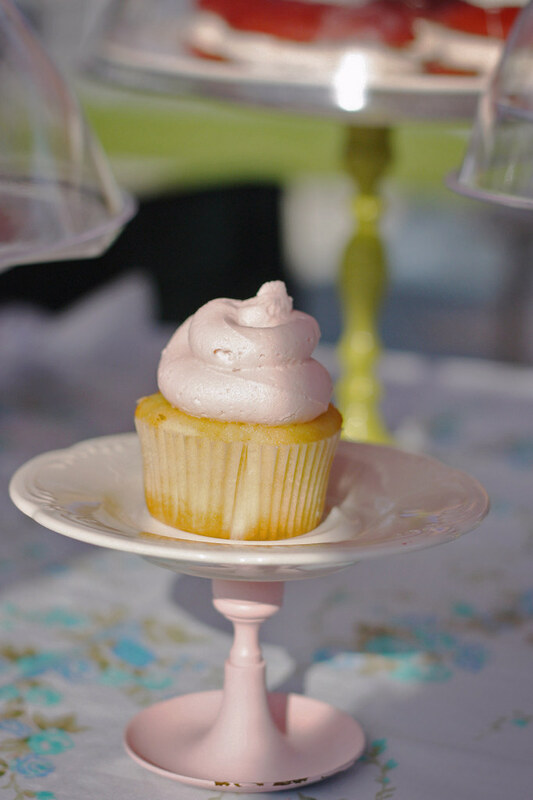 The first picture is just a plain vanilla cupcake with pink vanilla buttercream, yum yum. 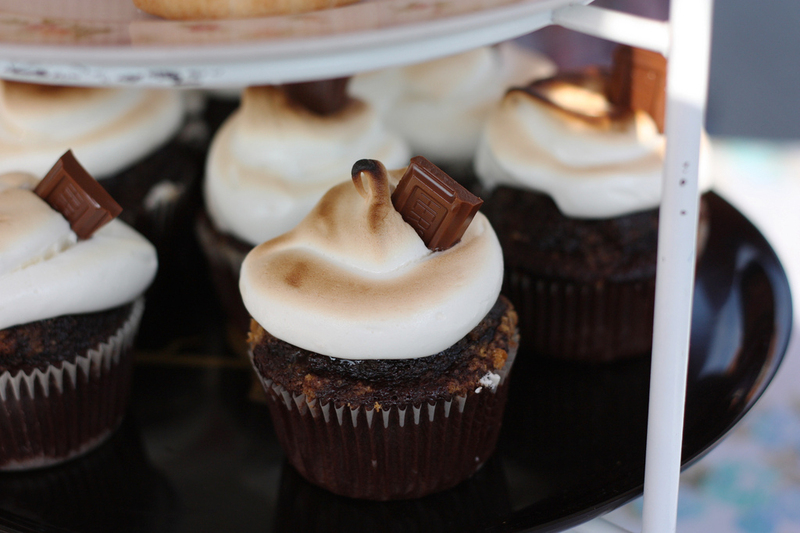 And then I made s'mores cupcakes, which were SO fun to make. I will try and start posting farmer's market and baking updates more often, who doesn't want to read about delicious treats, I mean really. Speaking of delicious treats, if any of you live around Seattle please please go to Top Pot doughnuts....you will not be sorry. I even took some on the plane to bring home to Patrick- they're THAT good! They somehow miraculously survived being smooshed into my backpack. Oh, and in some most exciting news... I am getting a serger!!! I have gone back and forth between contemplating getting one or not each time I have a little bit of extra money. Well, this time I went for it! eeeee! yum!!!! 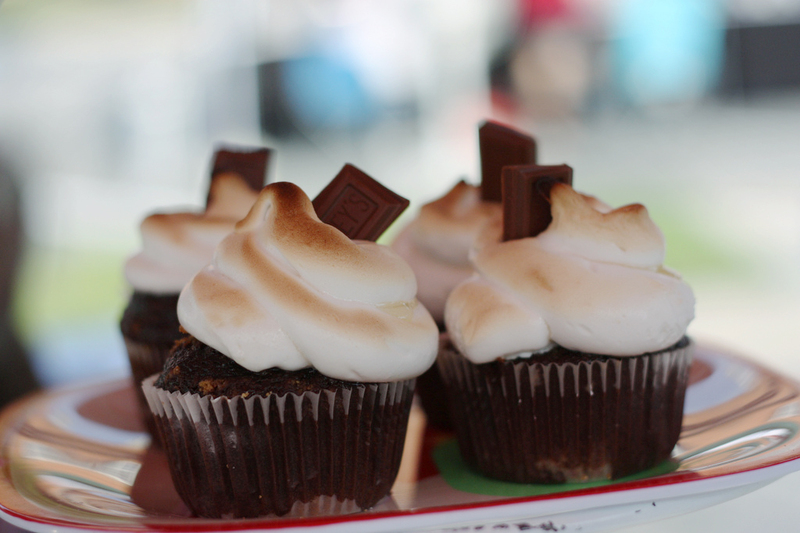 i wish i didnt live so far away from the farmer's market, i would come buy some cupcakes from you! is he your boyfriend or husband? how cute, so lucky!